Today’s post is a quick and simple way to add something extra to your brownies, for all those Valentine’s Day chocolate lovers. 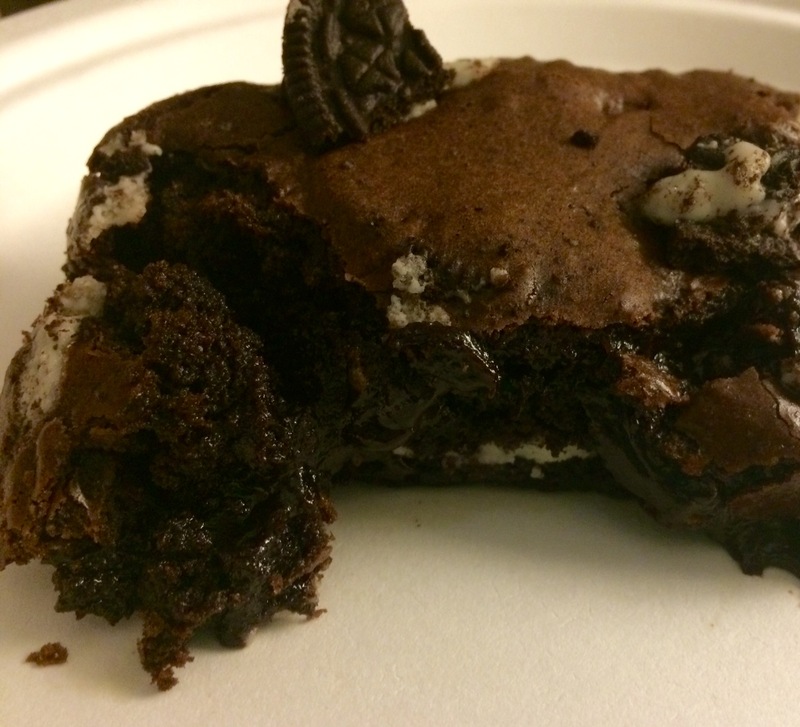 Brownies from a box are pretty awesome especially the Ghirardelli brownie mix. What I am about to share is one of the best kept secrets when it comes to brownies. Ok, I’m exaggerating..It only feels like a secret to me because I never heard or thought to try it before. 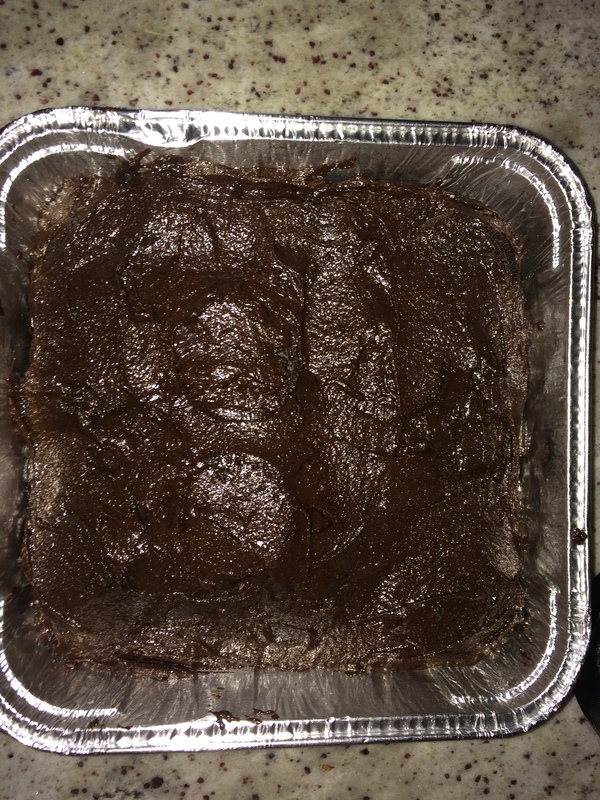 All you have to do is make brownies using the instructions on the box or from scratch if you prefer. 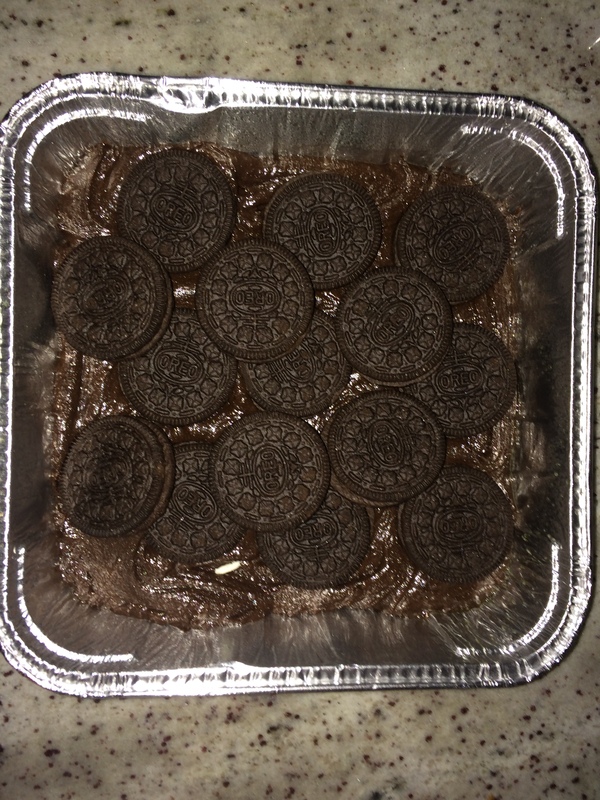 Pour half the batter in a baking pan and then put a layer of Oreos. Cover the layer with the rest of the batter. 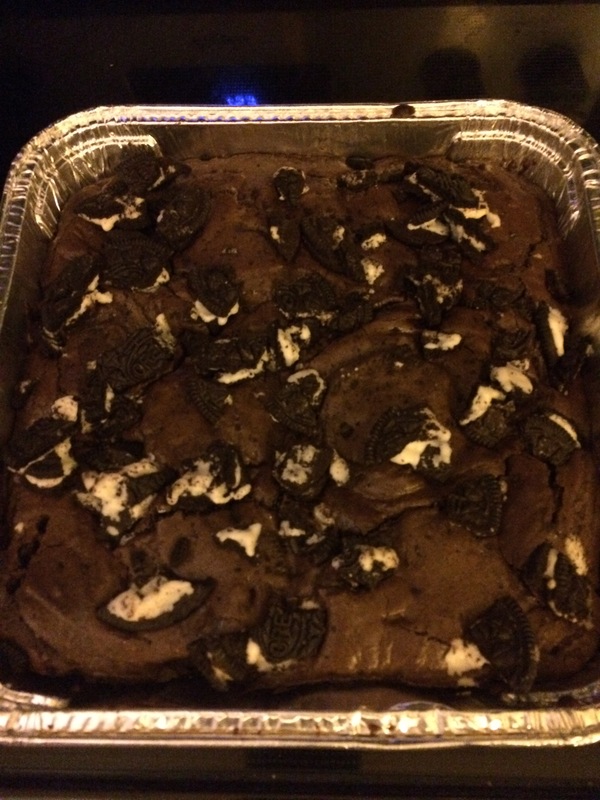 I crushed up a few Oreos and sprinkled them on top before putting it in the oven. You can use Oreos or Reeses or York peppermint patties or any of your favorite cookies!